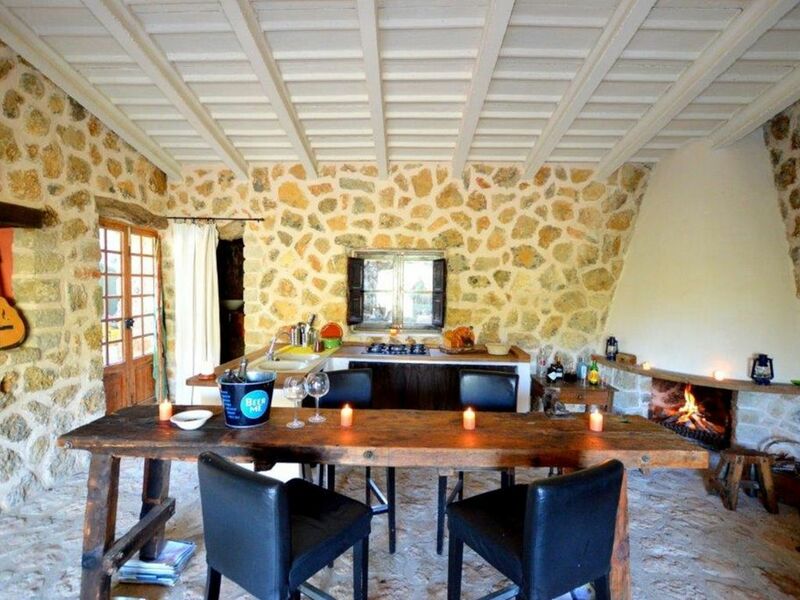 Beautiful house, a former hunting lodge, with two fireplaces and a terrace with panoramic views of the mountains. It features a large bedroom and maximum capacity of 4 persons. The house is over 100 years old, last renovated in 2012 preserving the original Mallorcan style of the old houses but d for our times with amenities like BBQ, shower and a small pool, it is strategically located to relax while enjoying the spectacular views, includes exterior and a solarium with comfortable lounge chairs, solar outdoor shower. The house have high speed wifi and satellite TV. Wir haben mit unserer Dreijährigen Tochter eine tolle Zeit im Hirtenhaus verbracht. Der Kamin wärmte uns bei kühleren Temperaturen und die Ruhe tat uns allen sehr gut. Das Haus ist rustikal aber sehr gemütlich. Der Besitzer ist hilfsbereit. War alles spitze.